Even if you’re not a postal geek like I am, you’ve probably noticed that the U.S. Postal Service has a rate increase coming up. Don’t forget to pick-up some forever stamps – still 46¢ this week, but they go up to 49¢ next week. On Sunday, rates will increase an average of 5.9%. Part of the increase (1.6%) is driven by inflation, and is an expected, predictable part of doing business with the Postal Service. But, a bigger portion (4.3%) is due to “exigent circumstances” – the volume (and therefore revenue) the Postal Service claims to have lost as a result of the Great Recession. The Postal Service has faced its share of financial challenges during the last five or six years, but so have their customers. Companies and organizations using mail to communicate with customers and prospects don’t have the option to pass along these extraordinary costs to their client base. 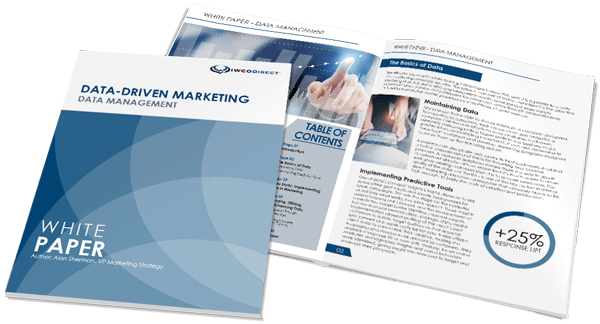 In fact, many mailers are looking for ways to reduce mail volumes in order to keep marketing budgets intact while others are giving up and looking for ways to get out of the mail altogether. And that’s a shame, because mail really works. So what can you do to take advantage of the marketing power of direct mail while keeping postage costs under control? IWCO Direct offers a wide range of postal optimization and logistics strategies to help you achieve best-in-class postage. Whether it’s our high density commingling solution, advanced logistics services, or leveraging our rapidly expanding digital print platform to support single-stream processing to qualify more mailings for walk-sequence carrier route discounts, we determine which methods work best to optimize your postal logistics. Talk to your IWCO Direct account team or contact sales@iwco.com to learn how we can help lessen the burden of the exigent rate increase.